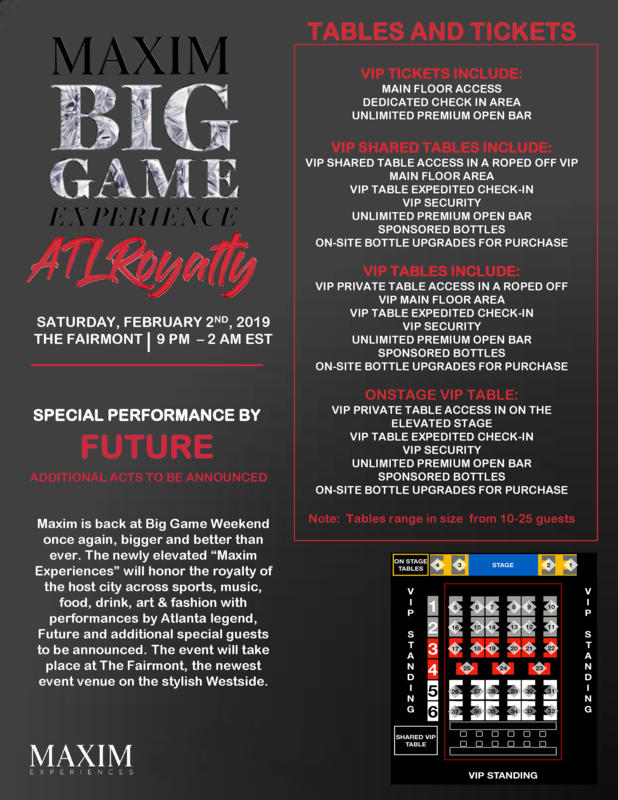 Last year Cornucopia Events™ were excited to announce that In the Know Experiences is the exclusive hospitality partner of the annual Maxim Super Bowl Party and we would be providing access. In previous years the party has been epic with Jamie Foxx, Diplo and Future headlining and additional surprise performances taking place last year. This year we will be doing the same, overseeing all hospitality elements including VIP Tables, VIP Tickets and more. We are here to help customize your experience down to the last detail. Larger party sizes and customized table configurations are available.